Third 5th place ranking in a row for the VW T-Roc in Austria. The Austrian new car market gains 7.3% year-on-year in June to 38.015 units, leading to a year-to-date tally up 3.4 to 192.861. The entire brands podium easily outpaces the market, starting with Volkswagen up an impressive 27% to 20.4% share vs. 18.2% so far in 2018. Skoda (+16%) follows at 7% share vs. 7.5% YTD while Renault (+20%) climbs onto the June podium at 6.2% share vs. #5 and 5.6% so far this year. Below, only BMW (+12%) and Seat (+8%) beat the market whereas Ford (-18%), Opel (-10%) and Mercedes (-5%) struggle. Further down, Subaru (+96%), Jeep (+63%), Mitsubishi (+52%), Smart (+38%), Dacia (+19%), Lada (+14%), Porsche (+13%) and Peugeot (+12%) stand out. 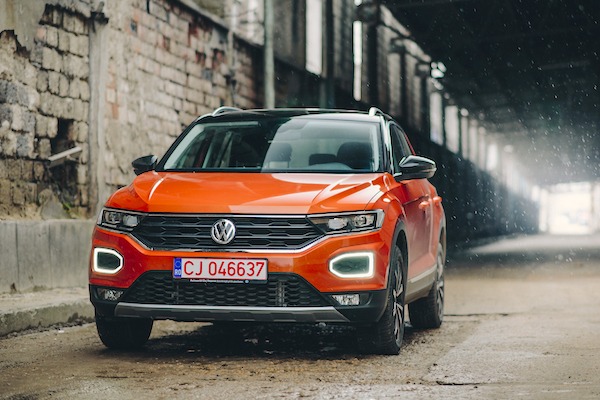 Model-wise, the VW Golf (-2%) remains in the lead ahead of the VW Polo (-7%) and Skoda Octavia (+8%) with the VW Tiguan (+41%) and T-Roc rounding up the Top 5. As a reminder, Austria is one of only two countries in the world with Switzerland where the VW T-Roc has managed to break into the monthly Top 5. The remainder of the Top 10 is on fire: the Hyundai i30 (+140%), Hyundai Tucson (+72%), VW Bus (+58%), Renault Clio (+27%) and Skoda Fabia (+20%) all post spectacular gains. Full June 2018 Top 50 All-brands and Top 305 All-models below. Austria December 2012: Volkswagen places 6 models in the Top 6!